I can't believe my luck finding an old orange metal rake head at a local antiques/consignment shop. I added a wire through the screw holes for hanging. I spray painted the top handle with Hunt Club Green spray paint by Rustoleum, and added a raffia tie. It's an easy fall junk pumpkin! AND, the pumpkin can easily be changed to a junk Jack o'Lantern for Halloween. I re-used the face from last year's junk funnel Jack o'Lantern! Instructions for making an easy, reusable Jack o'Lantern face included. So be on the look out for orange junk! 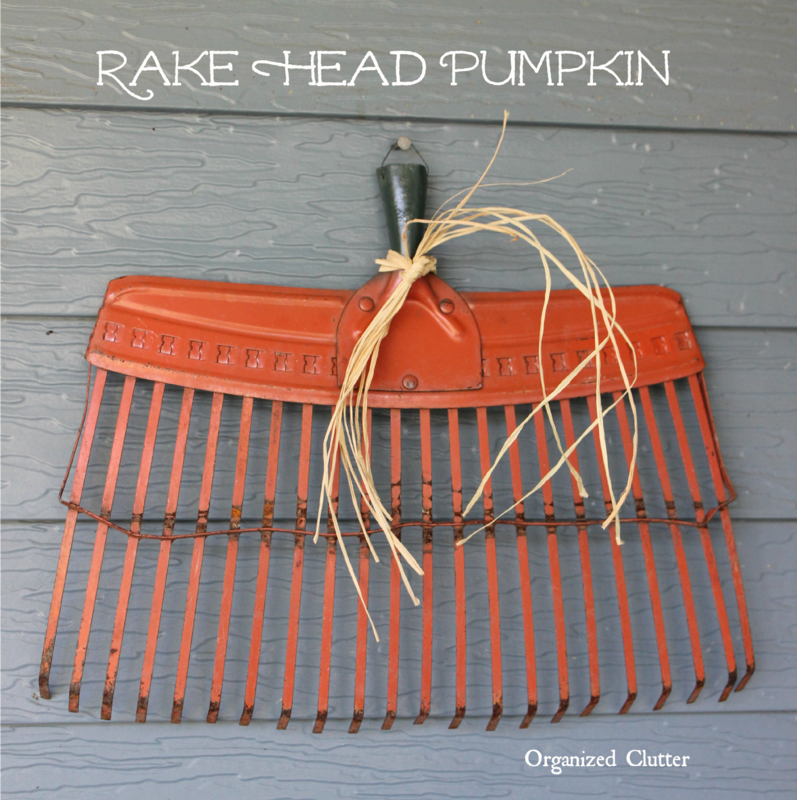 I have an old orange rake, too...love how you used it for a jack-o-lantern! Cute as can be...i use mostly whites and turquoise for fall but I like a bit of orange sprinkled in. cute! love the orange junk time of year! Fall,cool air, breezes, windows open, leaves... orange junk... some of my favorite things! Love both of these ideas, Carlene - so cute and easy!